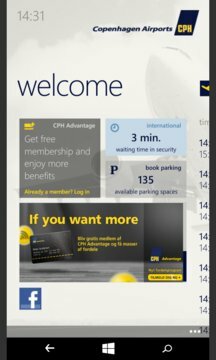 CPH Airport is the official Windows Phone app of Copenhagen Airports. The app offers lots of useful features for travellers, including flight times with updates through push notifications, waiting time in security, a shopping and eating guide with user reviews plus various kinds of maps. 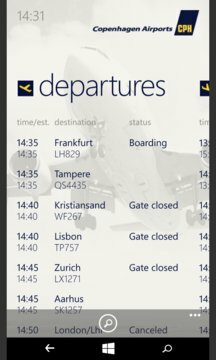 In other words, this is the app to get if you are flying to or from Copenhagen.